That is the challenge this month on the Whimsy blog. I definitely hope to see you create a card and enter it in the challenge. You have a chance to win some fantastic digital images from the Whimsy store, you can flip them re- size them the possibilities are endless with what you can create. I created this wonderful card with numerous dies on it. 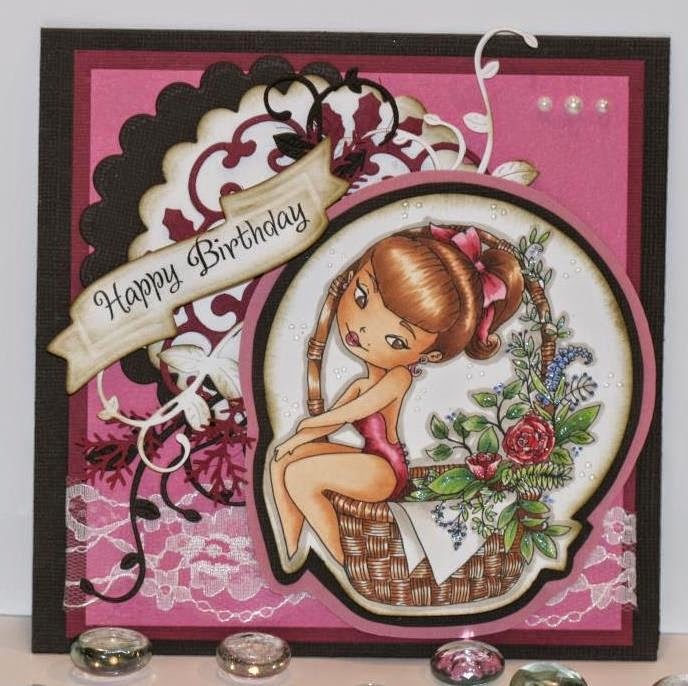 The image is called flower girl from Whimsy stamps designer Lia Stampz. I colored her with copic markers and added the following dies: Whimsy shapeology die vines, Spellbinder dies: Holly Motifs, ribbon banners, and classic scalloped large circles. You can click here and jump over to the Whimsy blog to check out all the other fantastic creations from the Whimsy digital team. 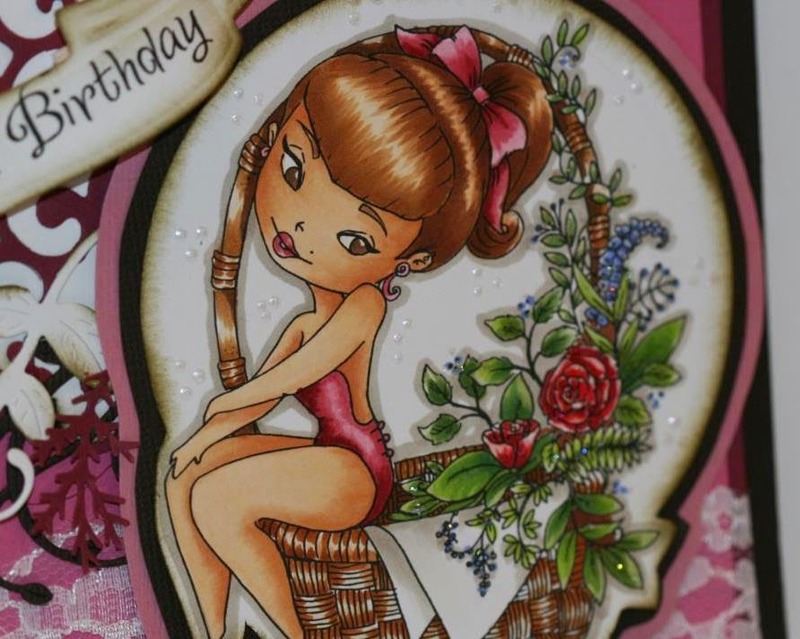 Such a beautiful image and colouring Charlene..love the background..fabulous card. Another pretty job you did here, she is so cute, like the way you cut around the image,and nice layout.....great colors! Way to go!